He turned to the theatre and went on to study at the Academy of Theatre Arts (Színművészeti Akadémia) but a four year contract with the National Theatre was interrupted by the Second World War. Despite conscription into the army he avoided combat duty due to bad health (a problem which was to plague Fábri for much of his life). Late in the war he was taken prisoner by the Americans returning to a devastated Budapest in October 1945. Beginning with this period of his life virtually the whole of the rest of his career coincided with Hungary’s incorporation into the Soviet-dominated Eastern Bloc. In the summer of 1950, in one of the darkest periods in Hungarian Twentieth Century history, when Stalinism and Socialist Realism were the order of the day, he joined the Hunnia Film Studio as an artistic director. The next year he directed his first film, as part of a ‚collective’, the rigidly Socialist Realist Colony Underground (Gyarmat a föld allat), an abysmal example of the kind of films forced on the long-suffering Hungarian public by State cultural policemen. He was also art director on László Kalmar’s Mrs Dery (Deryné) in the same year. It was hardly an auspicious start to his new career. I always tried to help him see the brighter side of life. His life was characterised by the fact that he had to work hard for all his success as an artist, actor, and director. He had to struggle a lot to achieve his greatest ambition, that is, shooting films and devoting his life to this. Of course, this made him extremely meticulous and thorough in the preparations for his works, so that the end product was up to his high standards. I tried to loosen up this strict, rigorous attitude because it was so much a part of him that he was almost unable to relax or be flexible. In the studio he was often called the ‘Japanese P. E. teacher’ (I can’t remember who first gave him this name), someone who could not be distracted from his goals. […] I decided to try and loosen up this rigorous atmosphere so that, during the shoot, all the crew could enjoy truly working together with Fábri. I think I managed to achieve this because in the last phase of our co-operation he began to be flexible and took part in our joking around. While Fábri practiced and honed his craft momentous events were happening elsewhere. On 5 March 1953, Soviet dictator Joseph Stalin died and a train of events was set in motion which would eventually lead to the Hungarian Uprising of 1956. Communist Party reformer Imre Nagy replaced Stalinist hardliner Mátyás Rákosi as Hungarian Prime Minister and began to introduce a series of reforms. This had a far-reaching effect on art and culture and slowly but steadily filmmakers began to flex their creative muscles becoming less-inclined to follow the dictates of Zhdanov’s Socialist Realism[v] and its endless idiotic speechifying, spotless, cardboard cut-out, worker heroes, factory love, massed choirs, pig iron statistics and wooden dialogue. The result for Fábri was Fourteen Lives were Saved (Életjel, 1954) which tells the story, based on real events, of 14 trapped miners and the efforts to save them. Although, apparently tailor-made for yet another saga of proletarian derring-do, this film shows that the times were indeed changing. The miners are depicted as being real human beings with vices and virtues, just like the rest of us and although a template-ending is tagged on as Soviet troops descend like some deus ex machina to save the day, this is, nevertheless a film of real substance. A true ‚sign of life‘ as suggested by the title of Gábor Szílagy’s book on this period (1994) and the literal translation of the film’s Hungarian title. 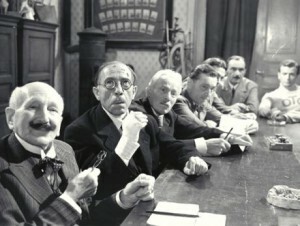 Up to this point in his career Fábri had remained an almost totally Hungarian phenomenon, unknown outside his homeland except for attendees of various film festivals such as Karlovy Vary in Czechoslovakia where Fourteen Lives… impressed the Jury which included the Brazilian-born filmmaker Alberto Cavalcanti. His next film was to bring both himself and Hungarian cinema before the attention of he world and open up Hungarian filmmaking in a way that few films have done before or since. On the 18th May 1954 Fábri submitted a proposal to the Dramaturgical Council for a new film based on a novella, In the Well (Kútban) by the popular writer Imre Sarkadi. Given the working title of Girl Market (Leányvásár) the title of the film was later changed to Merry-Go-Round (Körhinta) and was to become one of the most popular and enduring Hungarian films if all time. Born in Debrecen. After numerous short stories Sarkadi wrote his first full-length novel, János Gál’s Way (Gál János útja) in 1950. His later works include: In a Storm (Viharban) and The Fool and the Monster (A boland es a szörnyeteg). He also wrote for the stage. He died tragically young, shortly before he was to accompany Fábri to the 1961 Cannes Film Festival for the premiere of Fábri’s film The Brute (Duvad), also based on a Sarkadi story. It is possible that his fall from a window was in fact, suicide. Just before his death Sarkadi worked on the screenplay of his drama, The Lost Paradise (Elveszett paradicsom) with director Károly Makk. The film was released on 13 September 1962. Permission to proceed with Merry-Go-Round was received on 22nd July, 1955 and shooting was wrapped up in early November leaving just under three months for editing and other post-production work in time for the film to be premiered in February 1956 and then taken to the Cannes Film Festival. 1953, the Puszta (the flat plain in the east of Hungary). István Pataki (Béla Barsi), a reluctant member of a collective farm near Debrecen, wishes to return to his former life as a private smallholder. He plans to marry off his daughter, Mari (Mari Törőcsik) to another smallholder, the loutish Sándor Farkas (Ádám Szirtes), in order to increase his land. Mari, however, is unwilling as she loves Máté Bíró (Imre Soós) the representative of modernity and an enthusiast for the Collective. The two lovers, much to their father’s annoyance, are first seen together in the famous merry-go-round sequence at a country fair. Later they dance at a wedding party which provokes a showdown between Máté and Farkas. Mari’s mother (Manyi Kiss) tries to persuade her daughter to accept what she sees as the inevitable but Mari’s distaste for Farkas only increases when he visits her at night and assaults her. Pataki stubbornly refuses to see his daughter’s point of view and in a particularly acrimonious confrontation throws an axe at her; she responds by leaving home only to be returned by Máté. The father is finally persuaded to accept their union and the way of life it represents. Although the action of the film is set in the area around Debrecen on the billiard table flat plain known as the Puszta, the most memorable scene in the film, Máté and Mari’s merry-go-round ride was shot in Népliget (literally People’s Island) a park in Budapest and the merry-go-round was specially constructed for the film. Cameraman Barnabás Hegyi, in a short article in Free Youth (Szabad ifjuság – the Communist party’s youth paper), tells how he resisted suggestions to shoot the most famous sequence in the entire history of Hungarian cinema in the studio. Instead, he positioned himself with a handheld camera on a small platform attached to the merry-go-round by chains; an accompanying photograph shows Hegyi perched rather precariously on the edge of what looks like a cast-off door with his assistant, György Németh, helping to stabilise the arrangement. (Szabad Ifjuság 1956) Another photograph in the Hungarian Film Institute archives shows Hegyi, this time seated in one of the chairs of the merry-go-round, using a small hand-held camera with his assistant in another chair giving support. As natural light had to be supplemented, the positioning of the lights posed a problem. After some trial and error it was found that the optimum position was in the very centre of the merry-go-round. Despite the apparent make-shift nature of this set-up, the results, obtained over three days were stunning. The scene became an icon of Hungarian cinema and widely praised as a remarkable achievement. Homage has been paid to the sequence since, for example in Roman Polanski’s 1992 production Bitter Moon and more recently in a brief scene in György Pálfi’s Taxidermia (2005). Hegyi was justly proud of his achievement and declared that this was the first time in cinema history that such shots had been accomplished. Hegyi began his career in film in the early 1940s as a camera assistant. His first major work as cinematographer came on a 1940 production, Swap (Cserebere), directed by László Cserépy for the minor Aurora Studio. From this point until his death he worked on 89 films including such important productions as Géza Radványi’s Somewhere in Europe (Valahol Európában, 1947), István Szőts’s Song From the Wheat fields (Ének a búzamezőkről, 1947 only released in 1979), and an adaptation of Emile Zola’s classic novel Germinal, a French-Hungarian co-production directed by Yves Allegret. 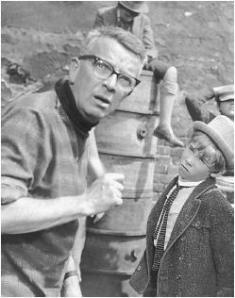 His last work was for Félix Máriássy on his film Fig-Leaf (Fügefalevél) in 1966. He died shortly before its release. The rest of the film was shot in the studio or on location around Debrecen. One scene, when wedding guests are riding in wagons to the wedding feast, was set in the Hortobágy, a marsh area near Debrecen which has a famous arched stone bridge which can be seen briefly in this sequence. Like Fábri’s earlier film, The Storm, Merry-Go-Round is set in the countryside. Whereas in the former film we get no precise sense of location, in the latter the moderately alert viewer will see signs indicating the proximity of the city of Debrecen. Old themes appear but in a muted form. 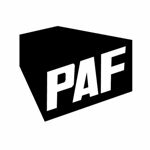 Máté belongs to a co-operative farm while Pataki is the representative of the old order and its values, thus a conflict is established very early in the film between the old and the new, centred around who will win the hand of Pataki’s daughter, Mari. A difference can immediately be seen between this and previous films. In Socialist Realist films set in the countryside, the representatives of the old order (often referred to as Kulaks, a word imported from the Soviet Union) were sometimes portrayed as saboteurs, as indeed in is the case in The Storm. This Socialist Realist demonology has a long lineage going back, at least, to Eisenstein’s aborted project Bezhin Meadow (halted in 1937). However, neither Pataki not Farkas (the intended son-in-law) are saboteurs, they are portrayed as people trapped in an obsolete way of life that has to give way to progress, not particularly pleasant people but neither are they villainous deviants in the pay of foreign imperialism. Likewise, the pros and cons of collective or co-operative agriculture are played out on a more limited but more detailed scale and the speechifying, so typical of previous films is, by and large, absent. As with a number of early Fábri films, Merry-Go-Round opens with a lengthy establishing shot. An extreme long shot of a country fair from a high vantage point is followed by a zoom-in to the merry-go-round. A sub-title then informs us that this is a story from Autumn 1953 (‘1953 oszen történt’) – significantly the year of Stalin’s death. The circular movement of the riders on the merry-go-round provides one of the key motifs of the film, preparing the viewer for the important scene to come early in the film and another scene later on at a wedding celebration where the circular motif is repeated, this time in a frenetic dance sequence. The camera then plunges us into the crowd at the fair and it is soon obvious that this film will be a different from those that Hungarian audiences have seen in the previous few years. The usual trappings of Socialist Realism are gone. In the screenplay a portrait of Stalin makes an appearance in the Co-operative’s office but by the time of shooting this relic has been dropped. Circus clowns appear in the crowd holding up a banner on which is written ‘Down with bourgeois formalism!’ (Le a burszoá formalizmussal! ), but any Stalinist connotation is immediately deflated by the words underneath ‘Socialist Realism – Cabaret Circus’ (‘szocialista realista – Esztrád Cirkusz’). We are then introduced to Mari, the film’s central female character, as she asks her father a question about the banner. Pataki, the curmudgeon par excellence, grunts some kind of reply, clearly not interested in such frippery. Mari’s look off-frame then takes us back to the banner. Mari’s look off-frame is often used throughout the film to link protagonists and different areas of action and in this respect Mari is a central element in the film’s stylistic system. One important aspect of this is that the film flows, instead of moving in an often mechanical fashion from one staged and speechified confrontation to another as in Socialist Realist films. As she and her father wander around the fairground, they meet Sándor Farkas, he gives Mari a mészeskalacs-szív, a heart-shaped pastry ( although it is usually inedible), embossed with a love message and often adorned with a small mirror. To put it mildly Mari is not exactly enthused either with the gift or the prospect of a marrying Farkas (whose name means ‘wolf’ in English). Sitting at a table drinking a beer, Pataki and Farkas engage in smallholder talk – farm prices and the like – while Mari, totally ignored, begins to daydream. At this point we are introduced to Máté who contrasts strongly with the smallholders in their black jackets, waistcoats and hats, stiff postures, and growling conversation. Máté dresses casually and, in the company of a small group of friends, is relaxed, friendly but also commands respect as demonstrated when he helps out a flustered waiter by sorting out the meal order for his group. Mari, looking idly into the mirror on her mészeskalacs-szív, spots the group. While her father’s attention is elsewhere three young women from Máté’s group persuade Mari to join them, despite her mother’s concern, for some fairground fun and games. This leads into the most famous sequence in the film, the merry-go-round ride. The whole sequence takes just two minutes eleven seconds and, in thirty one shots (giving an average shot length for the sequence of 4.2 seconds) establishes many of the major themes of the film: Máté and Mari’s affection for each other, the supporting roles of their friends, Pataki’s disapproval, etc.). While the merry-go-round ride is in motion, Máté and Mari, sitting near to each other, reach out, hold hands and finally embrace and kiss. By the 20th shot of the sequence, the bell signalling the end of the ride can be heard and a medium close up registers Mari’s disappointment. In the last shot of the sequence Máté also gives Mari a mészeskalacs-szív, similar but smaller than the one given by Farkas earlier. The father’s gruff voice is heard off-frame and Mari goes over to him to receive a stern reprimand for such shameful behaviour. Contemptuously, he knocks away a balloon that Mari has been holding and the camera follows it up into the sky and out of sight. This is the end of the fairground scene. Throughout the film Mari continues to act as a link between the warring factions around her. In one scene her lover and her father confront each other at the headquarters of the Co-operative. She is there to deliver her father’s dinner, and before she can leave Máté enters. An argument ensues between Máté and Pataki and as this becomes more intense, Mari’s look is used to connect the two antagonists and place her, visually, in the centre of the debate. At the end of this sequence, on the road outside the Co-operative, Máté and Mari go their separate ways, their future, at this point uncertain. Máté looks up at the sky and watches the flight of a ‘V’ formation of geese overhead,[vi] repeating the sky motif at the end of the merry-go-round sequence. The next time Mari and Máté meet is in the penultimate confrontation scene when they both, independently, go to a wedding celebration. The wedding celebration provides the venue for a coming together of all the characters previous seen at the fairground. Before the guests arrive however, they are shown riding horses and carriages in a procession. The medium close-up and close-up shots of the galloping horses’ heads, legs, and rotating wheels are reminiscent of Viktor Turin’s 1929 Soviet documentary Turksib and perhaps also John Ford’s Stagecoach (1939). After a short, slower-paced interval, the rapid cutting is picked up again as Máté and Mari, in defiance of Pataki, Farkas, and social convention, dance together. In doing so they interrupt the menyasszonytanc – a traditional way of collecting money for newly weds where guests ‘pay’ for the honour of dancing with the bride. Their whirling and increasingly frenetic dancing cannot but help remind us of the circular motion of the earlier merry-go-round ride, while the use of flash pans which end on Mari’s increasingly ill-tempered father and Farkas are another parallel. The thematic point is emphasised by the repetition of a section of music heard earlier in the merry-go-round sequence, coupled with the use of canted framing. The fairground music is heard alongside the diegetic music of the wedding band, forming a double-layered soundtrack. The film ends when Pataki realises that Farkas is not fit for his daughter and that Máté, despite his new-fangled ideas, is actually a worthy fellow and someone not afraid to get his hands dirty as he demonstrates by mucking out the cows. Máté and Mari now embrace in that most unromantic of places – the cow shed and the film closes with another shot of the merry-go-round. Mercifully, there is little of the legacy of Socialist Realism to be found in the film though there are certain concessions to the times as would be expected; probably the most glaring of these is the somewhat rosy portrayal of the co-operative farm where Máté works. At a time when co-operative farming was very unpopular in the countryside this must have jarred with certain audiences although it is difficult to spot any impact this had on box office figures. More important are other influences such as Italian Neo-Realism with its emphasis on the lives of ordinary people. A number of Italian Neo-Realist films were shown in Hungary in the late 40s and early 50s, including De Sica’s classic Bicycle Thieves (Ladre di Bicycletti, 1948). The authorities favoured these films and others from non-aligned countries such as India in preference to Hollywood whose films were almost entirely banned from Hungary. Other filmic influences include no doubt, earlier Hungarian films about the countryside, notably István Szőts’ classic People of the Mountains (Emberek a havason, 1942), his later film Song From the Wheatfield (Ének a búzamezőkről, 1947 – although banned it is quite possible that Fábri would have seen this film in a closed showing), and Soil Under Your Feet (Talpalatnyi föld) directed by Frigyes Bán in 1948. The influence of Soviet film is harder to gauge. Acting on a recommendation from veteran Soviet director Vsevelod Pudovkin, Fábri visited the Soviet Union in the early 50s, as part of a Hungarian film delegation. Details of what films Fábri did or saw while there are scant, though a number of commentators (see Marcorelles, 1956 for example) have suggested that the influence of Pudovkin’s linkage montage can be seen in the merry-go-round and wedding dance sequences. However, some care is necessary when discussing Soviet influences, particularly montage, on Hungarian films in this period. The onset of Socialist Realism in the Soviet Union in the early 30s had relegated montage to the margins of film discourse as a prime example of the sin of ‘formalism’. It is quite likely therefore that Fábri and his Hungarian colleagues may have had limited exposure to the full range of Soviet montage films. More to the point at this time montage was officially discredited and people such as Pudovkin, who acted as a kind of ‘film policeman’ for the Soviet authorities in Eastern Europe, advocated only the sterile policies of Zhdanov’s Socialist Realism (with predictably disastrous results). Nevertheless, the two key sequences from Merry-Go-Round already mentioned were praised, both in Hungary and elsewhere, as prime examples of the art of montage. However, Fábri’s editing has none of the complexities and intricate juxtapositions of, say, Eisenstein’s techniques in Battleship Potemkin or October. It is probably the case, although this discussion is beyond the scope of this essay, that by 1956 the term montage had lost whatever specificity it had and was either a swearword or putdown used by Zhdanovists to denigrate a film not up to the official benchmark, or it was simply a euphemism for rapid cutting, possibly, as in Merry-Go-Round, showing some influence from the early work of Pudovkin. Many of the actors and actresses in Merry-Go-Round were familiar to Hungarian audiences. Manyi Kiss, the mother of Mari and the wife of Pataki, the smallholder, was ideally suited to her role as the care-worn, long-suffering wife born into a world and a society which offered little if anything to women other than a lifetime of toil and child-rearing. By the time of her appearance in Merry-Go-Round she was a veteran of Hungarian cinema with a career stretching back to her first appearance in a minor role in István Székely’s 1936 film Only One Night (Café Moszkva). Likewise, Béla Barsi, her husband in the film, seems tailor-made for his role as the unbending, dour and uncommunicative Pataki and had worked with Fábri before on The Storm. 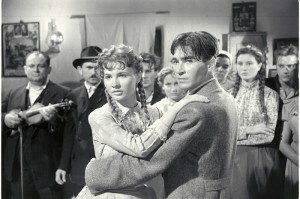 Although a relative newcomer compared to these veterans Ádám Szirtes (Farkas) made his first major film appearance in Ban’s important 1948 production The Soil Under Your Feet where he established his credentials as an actor able to play peasant roles. In a country such as Hungary where acting personnel were often middle class urbanites, finding suitable actors to play country people was a potential source of problems, particularly as the peasantry or smallholders were seen in popular mythology as the depository of certain national values. Despite this wealth of talent and experience the most memorable performance, and not for the first time in film history, came from a novice actress. Mari Törőcsik made an immediate impact as the naïve and innocent Mari who nevertheless has the courage to stand up to her father and is the centre of the film, the point around which all the various conflicts revolve. At the time Törőcsik was a student at drama school and according to Noémi Apor, Fábri’s wife, he considered over 100 actresses for the part. Apor persuaded her husband to have a look at Törőcsik who then clinched the role which established her as a major acting talent. She was to appear in a number of other Fábri films, including the leading role in Anna Édes (Édes Anna, 1958). She has worked with most of Hungary’s leading directors and is particularly remembered for her role in Károly Makk’s film, the highly rated Love (Szerelem 1970) to name just one of a number of notable performances. Although still an enormously popular actress in Hungary she has made little impact abroad and is probably best known outside Hungary for her small role in Costas Gavras’ Music Box (1989) and the family servant in István Szabó’s epic of Hungarian Jewish life Sunshine (1999). Törőcsik’s performance was indeed memorable but that of Imre Soós as Máté is also worthy of note. Unlike Törocsik, Soós was an established actor both on stage and screen, probably best known in Hungary at the time for performances in Socialist Realist films where his statuesque good looks were considered ideal for playing Stakhanovite worker-heroes. Such appearances included his role as Feri Torma in the truly dreadful Singing Makes Life Beautiful (Dalolva szép az élet) directed by Márton Keleti in 1950 and Try and Win (Civil a palyán, 1952) also by Keleti. His most notable achievement in film, prior to Merry-Go-Round was the lead role in Hungary’s first colour film Mattie the Gooseboy (Ludas Matyi, 1950 – now recently restored by the Hungarian Film Institute). In Merry-Go-Round, freed from the limitations of playing slogan-spouting worker-heroes, Soós turns in a powerful performance as both Mari’s lover and a proud and dignified co-operative farmer. In many ways Soós was ideal for the role, not only was he from a peasant background but he was born a mere 30 kilometres from Debrecen in Balmazujváros the village where Imre Sarkadi once worked as a teacher and took up temporary residence while writing Girl Market. During some of the shooting of Merry-Go-Round Soós was, appropriately, playing Romeo in a production of the Shakespeare play at the theatre in Debrecen and was whisked to and from the film set by car. Soós was next to appear in Tamás Banovich’s debut film The Empire Gone with a Sneeze (Az eltüsszentett birodalom) but, in the wake of 1956, the film was banned by the authorities and not seen until 1990. He became depressed, apparently dissatisfied with the roles he was offered, a situation exacerbated by his alleged heavy drinking (a trait he apparently shared with Sarkadi). Shortly after completion of the Banovich film and only four days after his 27th birthday, he committed suicide. It is possible that Merry-Go-Round was sacrificed to Cold War tensions between the USA and the Soviet Union. The Soviet Union and the Eastern Bloc countries were eager participants at Cannes, success often meant lucrative ‘hard currency’ distribution in the West and the added bonus of putting one over on an ideological rival. The Americans for their part were just as eager to demonstrate the superiority of their product. The 1956 Soviet entry was Sergei Yukevich’s adaptation of Othello, while the US offered the now little-known I’ll Cry Tomorrow directed by Daniel Mann. Yukevich won Best Director prize while Susan Hayward won Best Performance for her part in I’ll Cry Tomorrow; maybe Merry-Go-Round simply didn’t fit into the pattern for that year of dividing the spoils. [viii] This is all very speculative of course but manouvering and dealing of this sort is hardly new at film festivals and in 1956 the Cold War had reached one of its numerous peaks (not least in Hungary some six moths later). The detached observer cannot help but be struck by the very favourable critical response to Merry-Go-Round in comparison to just about every other film and the way in which, despite this, the French picked up three main prizes, no doubt representing ‘home bias’ but also perhaps the fact that the French (France was not a member of NATO) were not so implicated in the Cold war and thus a ‘safe’ choice. Perhaps in this process of manoeuvre and playing safe Hungary’s entry was simply sidelined. The film was premiered in Hungary on 2 February, 1956 (ironically in the same month that Nikita Khrushchev denounced Stalin’s crimes at the infamous Twentieth Party Congress) at the Urania cinema in Budapest and received enthusiastic reviews in the national press and, later, in regional newspapers. “I have just seen a beautiful film” wrote Andras Rajki in the pages of People’s Voice (Népszava) adding, in a somewhat flowery mode which seems strange to the Anglo-Saxon ear, ‘The music rings, the Merry-Go-Round flies – and never, never goes backwards.’ (Rajki 1956) It soon became an audience favourite, a fact which should surprise no-one who has seen some of the films forced on Hungarian audiences in the period before. According to figures supplied by Gábor Szilagyi, Merry-Go-Round was seen by 2,692,900 viewers up to the end of 1957, a remarkable figure when the disruption to cinema-going caused by the ’56 Uprising is taken into account (Szilagy 570-571). By the end of 1976, roughly a ten year period, Merry-Go-Round had been seen by just over another million taking its total to 3,880,000 viewers and grossing 10,381,000 Forints at the box office (Filmspiral 21, 182). Strangely enough neither the film nor its makers received any Hungarian awards. Only Manyi Kiss received a Kossuth Prize (Grade III) in 1957 for her performance in this and other films. Perhaps, in Fábri’s case, this had something to do with having already won two Kossuth Prizes (Hungary’s most prestigious award at the time). It is just as likely that the film and its critical and audience reception were caught up in the aftermath following the 1956 Uprising and its suppression, a time of uncertainty and instability in the arts as in just about every other area of life. In 1968 Hungarian critics voted it onto their Budapest 12 (Budapesti tizenkettő) – the twelve best Hungarian films of all times, where it remains, Fábri being the only director to have two films, the other being Professor Hannibal honoured in this way. It is a film which every Hungarian you meet seems to have seen at some time and is firm favourite of the older generation. There isn’t a scene in Merry-Go-Round, in the tone or subject matter that comes off badly, nor is there a conventional element. Everything is of a freshness, vivacity and sometimes even boldness, that testifies to a very remarkable talent. Writing some time after the event film critic Marcel Martin argued that the rediscovery of Hungarian cinema started in 1956 with the success of Merry-Go-Round at Cannes (1962: 23) while Louis Marcorelles went so far as to describe Fábri as ‘the wonder boy of new Hungarian cinema’ (1956:24); the complimentary Frenchman, a keen observer of the Hungarian scene, was surely being tongue-in-cheek – his ‘wonder boy’ was almost 40 by this time! One of the few negative responses came from the pen of ‘R. W. N.’ in the New York Times who complained of the film’s ‘lack of imagination, wit and taste in the telling of a tale that had two strikes against it in the first place.’ (RWN 1958) Quite what these two strikes are, however, is never made clear. 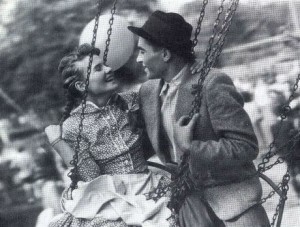 His view was not shared by Gene Moskowitz who, writing much earlier in Variety, thought the film ‘a surprisingly lyrical, moving comedy-drama remiscent of the best pre-war love stories.’ (Moskovitz 1956) Although Merry-Go-Round made little impact in the USA, a number of Fábri’s films made it onto the film club/arthouse/university circuit and were enthusiastically received. Predictably the film was well-received in other iron curtain countries although, again, it received no prizes suggesting that host juries were worried about or not inclined to give a prize to a film from a country which so recently had erupted in open revolt against the ‘eternal friendship’ of the Soviet Union. Merry-Go-Round and later Fábri films became popular in Bulgaria, Turkey, Argentina, Iran and India, the latter country hosting a Fábri retrospective at the 26th International Film Festival of India in Bombay in 1995. It is also possible that the French saw parallels between their efforts to break away from their own ‘official’ film heritage (the ‘quality’ film, ‘le cinema du papa’ so fiercely derided by Truffaut and others) with the Hungarian trajectory of developing a cinematic practice and aesthetic free from, or at least limiting, the constraints of Socialist-Realism and various forms of state control. The depiction of rural life in Merry-Go-Round was also more likely to strike a chord in a country such as France with its strong agrarian/peasant tradition than in Britain or the USA. No doubt, on a more basic level, they were responding with enthusiasm to a fine piece of filmmaking which embodied many of the characteristics they were looking and urging for in their own national cinema (sentiments which no doubt also motivated Lindsay Anderson) – spontaneity, contemporary relevance, location shooting, the inspirational role of the director, fresh young talented actors and actresses, none tied to tradition or constraints but all working for something new, fresh and exciting. Fábri’s film was released only eight months or so before the eruption of the 1956 Hungarian Uprising giving time for the film to be become well-established before the events of October. Indeed Fábri had time to complete another film, Professor Hannibal (Hannibál tanár úr) which was released in October only days before the fighting started. Merry-Go-Round thus appeared at a time when Hungarian life, in virtually all its aspects, was in a state of tremendous flux and although Merry-Go-Round does not wear its politics on its sleeve it is, nevertheless, a film which captures a certain mood in the country at the time and, in its own small way, helped to create, or reflect, a certain feeling for change. In order to see how this Romeo and Juliet story of village love fits in with one of the most tumultuous clashes of post-WWII European history it is necessary to go back a little. The iron grip of Stalinism in Hungary began in 1948, the point at which the country was fully integrated into the Soviet sphere. Industry was nationalised and in the countryside a collectivisation process began, at first voluntary, then increasingly forced. The government of Prime Minister Mátyás Rákosi presided over a country where discontent mounted steadily as living standards and consumer goods were sacrificed to a drive to develop heavy industry. Working hours were long, conditions in the factories were often atrocious and pay was inadequate for anything other than basic needs. For their part the peasants and agrarian workers were reluctant, to say the least, to be forced into joining the collective farms, particularly as only a few years previously they had been allocated their own smallholdings. Added to this was an almost continual crisis in the provision of basic housing and accommodation and anyone brave enough to speak out was targeted by the ubiquitous AVO, the secret police and subjected to a range of punishments which could end in imprisonment, deportation to the countryside or forced labour. In 1951 news that rationing was to be introduced due to shortages of foodstuffs from the countryside caused strikes and protests in many urban areas and by 1953, as the historian György Litván notes ‘Hungarian society was close to breaking point.’(Litvan 22) The authorities became increasingly alarmed although it was almost certainly the death of Stalin on 5 March 1953 which prompted widespread changes. Stalinist hard-liner Rákósi was replaced by Imre Nagy four months later and the ‘New Course’, as it was sometimes known, introduced a number of reforms. A former Comintern agricultural expert, Nagy held a certain popularity in the countryside, partly because of his opposition to forced collectivisation. With his star in the ascendant he boosted his reputation even further by allowing the peasants to return to their private holdings if they wished. The political situation (at this time always a reflection of the political flux and backstabbing in Moscow) however remained unstable and Rákósi was able to regain his former position and demote Nagy. However, the reform movement had by now built up a considerable momentum and would not be easily stopped. An avant-garde centered around the Petőfi Circle, a debate and discussion group which increasingly attracted large numbers of intellectuals and many party members, continued to argue for change. Demonstrations by students and continuing unrest in the factories were to prove the final spark that erupted in October 1956. 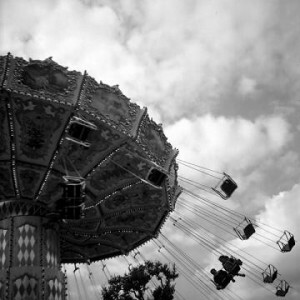 It was Merry-Go-Round, more than any other film, that caught this mood of change and optimism. Alexander Dubcek , the figurehead of the Prague Spring, once used the famous phrase, ‘Socialism with a human face’ to describe the political changes taking place in Czechoslovakia in the mid-60s, but the words could just as easily come from Nagy. Fábri, who was never a Party member, was by all accounts an admirer of Nagy and some of the attitudes of the New Course can be seen in Merry-Go-Round. Máté Bíró although a worker on a co-operative does not ram his views, Stalinist-fashion, down anyone’s throat. He proceeds by discussion and argument and, most of all, by example. When he argues with Pataki in the co-operative office about the merits and demerits of the co-operative ethos he also criticises the leaders of the co-operative who he accuses of not doing their job properly. He is the voice of reason and of modernity. But if this was all the film was about it would have made little impact. After the years of shortages, Stalinism, secret police coming in the night, censorship, and the mounting lies and the outright sham of the ‘workers’ paradise’, Hungarian cinema-goers were able to see and enjoy a film which was, in essence a love story, which centered around real people, in a real situation, who spoke something like recognisable dialogue. Gone were the cardboard cutout worker heroes – a point which gained in power from the casting of Imre Soós who, in the past, had so often played these very roles. The film did have a political edge but as so many commentators noted this never overwhelmed the film, ultimately this is a story about people, about generations, about different ways of life, of tradition versus modernity, and about love crossing barriers. It is these elements that made the film what it was and why it had such an impact, perfectly capturing the mood of the times, and without reading into the film things that aren’t there, nor forcing an interpretation that ‘over-reads’ its impact, Fábri’s tale of village love played its small part in capturing the mood of the times and transmitting it around the country. That mood, a mixture of emotion, anger and hope, that sense of a need for change, was encapsulated in the image of two young lovers on a fairground ride. The filmography for Merry-Go-Round has been compiled from information in Játékfilmek/Hungarian Feature Films 1931-1998, the film credits, and sources in the Hungarian Film Institute archive. [i] Most of his acting was on the stage. Of his two performances on film the best known is in Péter Bácso’s The Witness (Tanu, 1969 – released in 1979). [ii] István Réti (1872-1945) along with János Thorma and others were instrumental in setting up the Nagybánya Artists colony. [iii] However, much of this discussion was couched in the wooden clichéd tones of Socialist Realist criticism, centring around such shibboleths as whether or not the film had brought out the ‘role of the party’ sufficiently. See, for example, Miklós Molnár in Free People (Szabad Nép, 5 January 1953) who moaned that the film showed a gap between the Party and the masses. [iv] György Illés expressed very similar attitudes when he spoke to the author. The translation of the Népszabadság article is by Beáta Barna and the author. [v] Andrey Zhdanov, Soviet head of cultural policy, was the chief architect of Socialist Realism. [vi] A piece of pure speculation – did the shot of geese flying overhead provide any inspiration for Mikhail Kalatazov’s ground breaking Soviet film The Cranes are Flying (1957)? [vii] The possible influence of Sholokov was suggested to me by István Rubovsky, lecturer at Debrecen University, who has studied Merry-Go-Round extensively. [viii] Other prizes went to Henri-Georges Clouzot’s Picasso (Special Jury Prize); Jiri Trnka (Special mention); Satyajit Ray, Pather Pachali (Best Human Document). All Cannes awards information taken from Gebert 1996. [ix] Although in articles Fábri is frequently referred to as an auteur, in the Cahiers du Cinema index he is placed in the section reserved for the somewhat less elevated ‘metteur-en-scene’. No problem for us. We have the account on Facebook,not on Twitter, yet. wonderful submit, very informative. I wonder why the other specialists of this sector don’t understand this. You should continue your writing. I’m sure, you’ve a great readers‘ base already! I’m still learning from you, as I’m trying to reach my goals. I definitely enjoy reading everything that is written on your website.Keep the stories coming. I enjoyed it! Usually I don’t read article on blogs, however I would like to say that this write-up very forced me to check out and do so! Your writing style has been amazed me. Thank you, very nice article. Thank you a lot for giving everyone such a memorable possiblity to read from here. It’s usually so superb and also jam-packed with fun for me personally and my office co-workers to search your blog at the very least thrice in one week to read the fresh secrets you have. Of course, I’m so actually fulfilled with the wonderful opinions you serve. Selected 4 tips in this post are honestly the most efficient I have ever had. I love looking at and I conceive this website got some truly useful stuff on it!